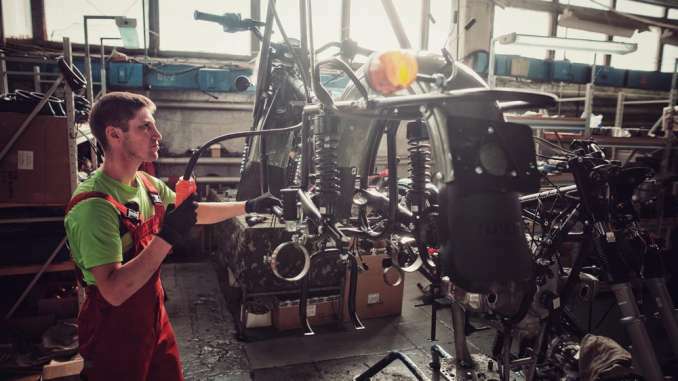 On his epic summer adventure and his family recently visited the URAL factory in Irbit to see where his Ural was born. Unknown to him URAL had arranged for his bike to get a full work through, giving it some love after over 70,000 kilometers on the road. “I told them I only needed a gasket for my alternator and the small switch to turn on the rear brake lights. Then in 30 minutes my bike was completely apart and the guys started replacing all sorts of stuff on it. “They saw my face and started smiling. Relax! It’s on the house! 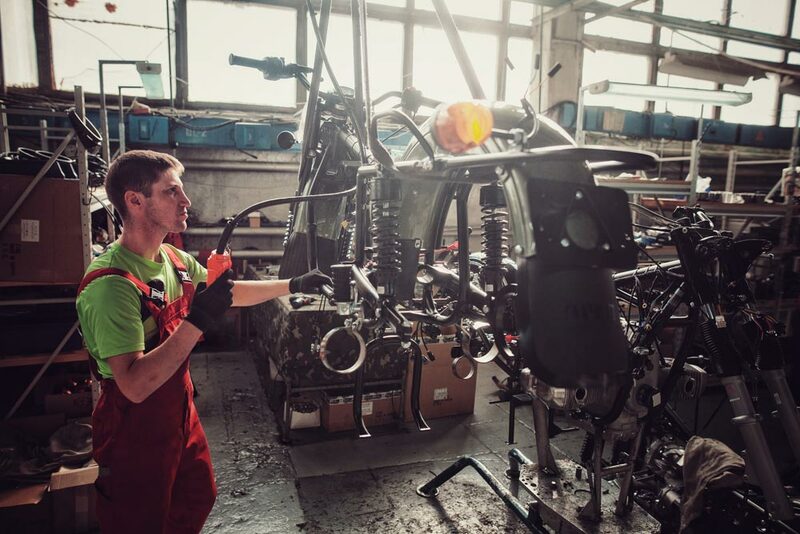 While we worked on Mihai’s bike he explored the factory, sharing a rare look at our dedicated team building the newest batch of Urals. These bikes will be exported all over the world, ready to take customers on their next big adventures. Electronic speedometer with built-in indicators. New wire harness with combination relay and fuse box under left side panel. Handlebar switch for sidecar spot-light. Handlebar parking brake lever, replaces rider side lever. Reverse / neutral foot pedal instead of lever. New stock 2/3 seat, replaces tractor seat. New sidecar seat with extra storage space under the cushion. Numerous redesigned and improved internal components. New colors available in premium colors and finishes.